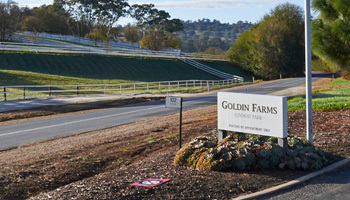 Goldin Farms recently completed its first year of operation and our initial objectives have been met on many fronts. 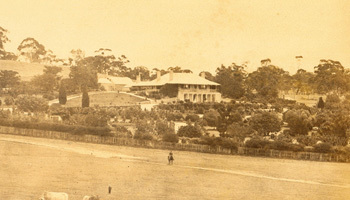 Besides settling in to one of the most famous horse properties of the Australian thoroughbred racing and breeding industry, we have successfully launched the stud career of our foundation stallion AKEED MOFEED (GB); made an instant impact as vendor in the domestic bloodstock sales arena; and commenced a programme to support local raceclubs — the life‘s blood of our great sport! Akeed Mofeed proved to be a pleasure to work with in his first stud season and received the calibre of support his exceptional credentials deserve. 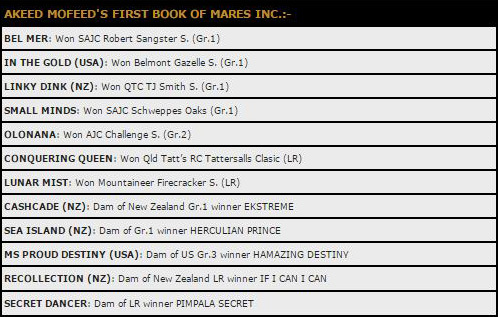 Goldin Farms mares sent to this world-class racehorse included the Group 1 winners Bel Mer, Linky Dink, Small Minds and In The Gold (Belmont Gazelle S.-Gr.1), as well as the dams of Group 1 winners Extreme and Herculian Prince. The 2015 renewal of the Goldin Farms’ Barossa Cup was subsequently staged at Gawler on Sunday, May 17, and saw the Group 1 performed Hioctdane record his fifth career victory. The recent renewals of the Group 1 Prix Ganay at Longchamp and Group 1 Audemars Piguet QEII Cup at Sha Tin present a golden opportunity to put the highlight career victory of AKEED MOFEED (GB) in to some form of current season context. AKEED MOFEED’s unforgettable 2013 Hong Kong Cup win witnessed the foundation sire of Goldin Farms defeat six individual Group 1 winners of 18 Group 1 races, amongst them the incomparable French iron horse Cirrus des Aigles and the admirable Hong Kong campaigner Blazing Speed. Within the past few weeks Cirrus des Aigles has added to his remarkable race record by claiming his third Group 1 Prix Ganay, and Blazing Speed recorded a sublime victory in the Group 1 Audemars Piguet QEII Cup. Third to AKEED MOFEED in the 2013 Hong Kong Cup, Cirrus des Aigles has now won 22 races including an astounding nine Group 1 events. In addition to two (2014 & 2015) Prix Ganays since being defeated by AKEED MOFEED, his Group 1 haul also includes the 2014 Epsom Coronation Cup and 2014 Prix d’Ispahan. The exhilarating victory of Blazing Speed in the recent Group 1 Audemars Piguet QEII Cup at Sha Tin also speaks volumes for AKEED MOFEED’s racing ability. One of a host of outstanding racehorses based in Hong Kong, Blazing Speed turned in a devastating performance to win the HK$20 million event from a stellar group of horses that included Sydney autumn star Criterion (3rd), the standout locals Designs of Rome (4th) and Military Attack (7th), as well as the world celebrated veteran Red Cadeaux (11th). Blazing Speed’s emphatic two-length victory saw the mature 6-year-old earn a rating of 127. 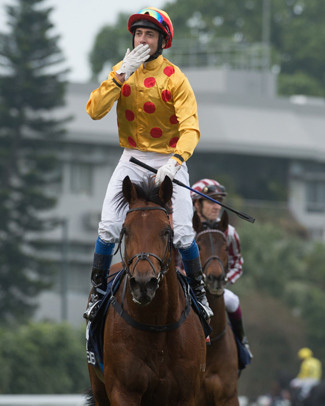 Yet despite the very impressive nature of his stunning win over a star-studded field, it was not enough to eclipse the highest rating awarded to AKEED MOFEED during his distinguished Hong Kong racing career. Blazing Speed was a constant rival of AKEED MOFEED, most notably finishing a well beaten sixth behind the magnificent son of Dubawi in the 2013 Group 1 Hong Kong Cup. When AKEED MOFEED was later retired to prepare for his first stud season, he did so with an official rating figure of 129 — two points superior to what Blazing Speed earned in brilliantly winning the QEII Cup! What a remarkable stallion Dubawi is proving to be! When Lady of Dubai won the Listed Height of Fashion Stakes at Goodwood in England during the past week, the sire of AKEED MOFEED was represented by his 20th individual stakes winner worldwide since the beginning of the year. Dubawi is now hurtling towards his first Century of stakes winners after becoming the fastest stallion in history to be responsible for 50 individual Group winners. One of the world’s great active sires, this month has witnessed Dubawi’s progeny add to their impressive tally of Group 1 victories as well as emerge as Epsom Oaks aspirants. Furthermore, there has even been a sire-son of Dubawi responsible the first Group 1 Classic winner of the 2015 French racing season. Already the sire of 16 individual Group 1 winners, Dubawi added the prestigious Newbury Lockinge Stakes (Gr.1) to the enviable collection of feature races won by his offspring when Night of Thunder ran out a commanding winner. One of the star 3-year-old performers in Europe last season, Night of Thunder also won the 2014 English 2000 Guineas, becoming Dubawi’s second winner of the time honoured Newmarket Classic following the success of Makfi in 2010. Al Kazeem has been another Group 1 winner for Dubawi in very recent time. Just last weekend to be precise. One of world racing’s finest older performers, the 7-year-old won this year’s renewal of the Tattersalls Gold Cup (Gr.1) at The Curragh and now has four Group 1 wins on his distinguished CV. Daughters of Dubawi have also claimed two of the major Epsom Oaks lead-ups, Crystal Zvezda landing the Newbury Fillies Stakes (LR) on the Lockinge Stakes programme a matter of days before Lady of Dubai’s success at Goodwood. Both are now on course for the most prized fillies Classic on the world racing calendar, Crystal Zvezda the subject of a 5/1 quote in pre-post markets. Dubawi even became the sire of the sire of a European Group 1 Classic winner in more recent time when Make Believe won the Longchamp Poule d‘Essai des Poulains (Gr.1). The brilliant colt is a son of the aforementioned Mafki and a three-quarter brother to Dubawi Heights, a daughter of Dubawi successful in the 2011 Santa Anita Gamely Handicap (Gr.1). Dubawi only stood three breeding seasons in Australia yet has been responsible for the Group winners Secret Admirer (Flight Stks-Gr.1, Epsom Hcp-Gr.1), Tiger Tees (The Galaxy Hcp-Gr.1), Shamal Wind (Oakleigh Plt-Gr.1), Srikandi, Arabian Gold, Catkins, Lady of Harrods, Intimate Moment and Cellarmaster, as well as a half-dozen Listed Race winners. The likes of Secret Admirer, Tiger Tees, Shamal Wind, Srikandi, Arabian Gold and Catkins have proven to be a wonderful advertisement for the Dubawi breed in Australia. It is worth noting that this half-dozen runners alone have so far posted a collective 55 wins, that figure including an incredible 32 black-type successes with the promise of more to come. 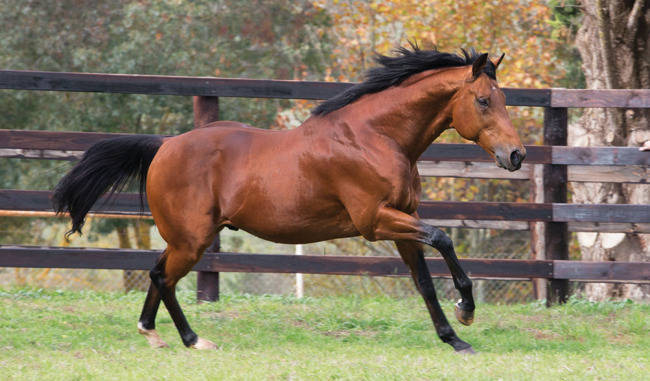 For the record, Dubawi’s service fee this northern hemisphere breeding season is £125,000.Remarkably, he has achieved all of this yet is still only 13 years of age. A subsidiary of the Goldin Group has become an official partner of the Ascot Racecourse. Gigaset, a famous Germany electronics brand, was last week announced as a premier partner of Ascot Racecourse, and as such will feature throughout Ascot’s flat and jump racing seasons, including the prestigious Royal Meeting next month. The partnership between Ascot Racecourse Limited and Gigaset will initially run for a five-year period until the end of 2019. It will witness representatives of Gigaset present trophies to the connections of two races at next month’s star-studded Royal Ascot meeting — one of the undisputed highlights of the international racing year. Gigaset is also sponsoring two races at additional Ascot meetings later this year, namely the Gigaset International Handicap Stakes to be held on 25th July 2015, and the Cumberland Lodge Stakes to be held on 3rd October 2015.